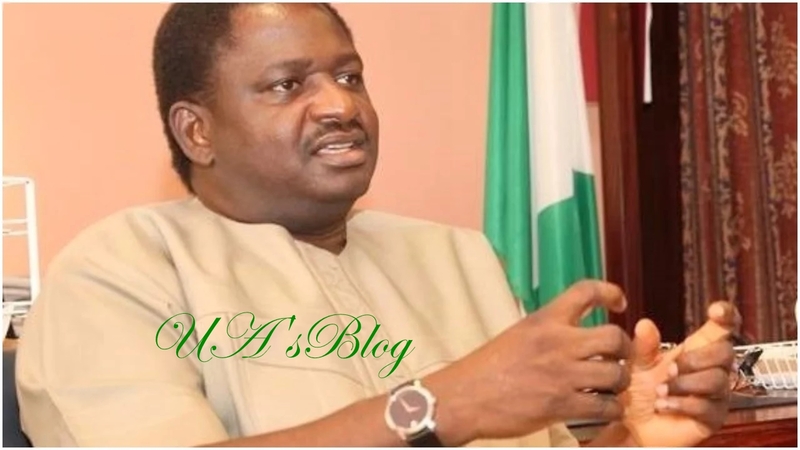 Presidential aide, Femi Adesina, has posted a cryptic 'reaction' to Obasanjo's endorsement of Atiku, on his Twitter page. President Muhammadu Buhari's Special Adviser on Media and Publicity, Femi Adesina, has posted what seems like a reaction to the news of former President Olusegun Obasanjo's endorsement of Atiku Abubakar, presidential flag-bearer of the Peoples Democratic Party (PDP), for the 2019 general election. Atiku visited Obasanjo in Abeokuta, the Ogun State capital, on Thursday afternoon. After the meeting, which held behind closed doors, Obasanjo said he had forgiven the former Vice-President, stating: "From what transpired in the last couple of hours or so, you have shown remorse; you have asked for forgiveness and you have indicated that you have learnt some good lessons and you will mend fences and make amends as necessary and as desirable." However, minutes later, at exactly 4:15pm, Adesina tweeted: "The harder they come, the harder they fall 2019 presidential election on my mind".